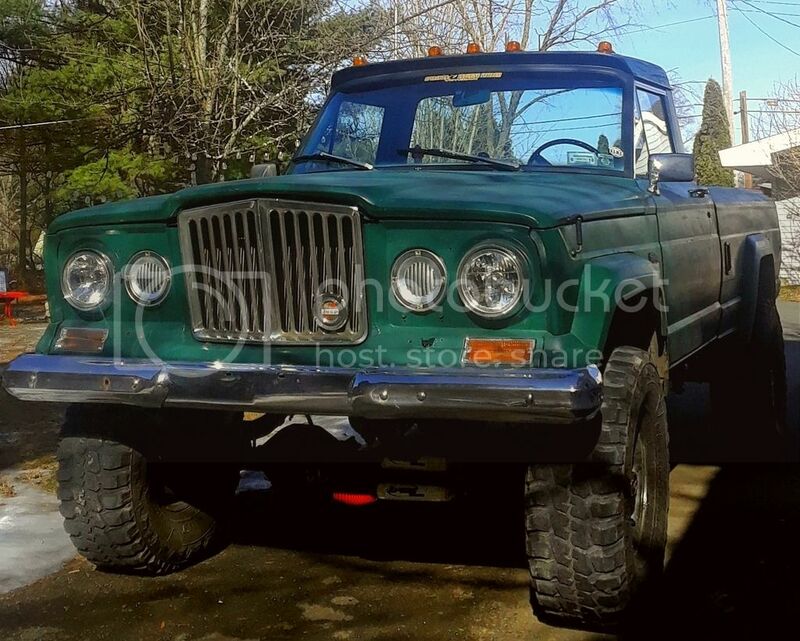 Found a 78 J20 at my local pull-a-part. Went out there this past Saturday to see what was left on it. Has a few bits and pieces on it, but some stuff has been farmed out. The body is in rough shape so I don't know that any panels are really salvageable without a bunch of body work. But there are some things left worth saving. I pulled off the steering box, lines and pump, as well as the flex fan and clutch as a spare for my FSJ. Plan to use the steering components to convert my CJ over to power steering. I can head back out there to pick some other items if anyone has interest. instead of in the air perched on old steel rims. Would have to get them to come set it off the ground to get to the axles. -Tie Rod and Drag Link? Although it may not even be worth the time or money for anyone here. Honestly, there is not much else on it worth saving at this point. Most of the trim, grill, column, intake, PS bracket etc. has been pulled off. Feel free to ask about parts, but sadly most of it has been picked over. Felt lucky to get the J20 steering box, although I may need to rebuild it. Is the j20 front 44 open knuckle? Wide or narrow? Where are you located? A '78 would have Pass-Drop open knuckle D44. Is the Trans/Tcase, tailgate, front fenders still on it? derf wrote: Where is this truck located? Would be really nice if everybody had their location listed!!!! Location?? I need front axle shafts for a 78 J20 as we speak!